Federal Programs is responsible for Title I-A, Title II, Supporting Effective Instruction; which includes Class-Size Reduction and Professional Development, Title III (English Learners), Title V-B, Rural and Low Income and McKinney-Vento Education for Homeless and Youth Program. Title I provides Reading and/or Math Instruction for students identified at the local school. A Title I school must have at least 40% of its student population qualify for free or reduced lunch. Services can be delivered in a variety of ways: pull out, in class, or early intervention. Title I funds, along with other Federal, State, and local funds, can be used to operate a "schoolwide program" to upgrade the instructional program for the whole school. Programs must use instructional strategies based on evidence based research and implement parental involvement activities. 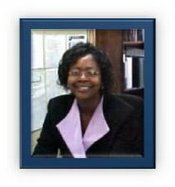 If a student in your class is having academic problems, you may wish to discuss it with the Title I teacher at your school or you may call Dr. Marcia A. Smiley (334) 683-4144, ext. 53003. Professional Development is a major part of the Title I Program. We work closely with schools to determine their professional development needs and to locate funding for those identified needs. Title II is a federally funded teacher/staff development and class size reduction program. It began with an emphasis on Math and Science, but has expanded to include other discipline areas. Under the Every Student Succeeds Act (ESSA) staff development paid for from these funds must be evidenced based, long term, and longer than one day workshops. The main purpose of Title II staff development is to strengthen teachers in the core academic areas. Title III is a portion of funding for the English Language Program. The goal of the program is to help each student make yearly progress on standardized evaluations and reach the highest possible levels of English language and academic proficiency in the shortest time possible. Title V is used to supplement services that are already provided with the previously mentioned federal funds. The addition of these funds aid the efforts by providing a greater opportunity to enhance existing services and broaden the outreach to students. Homeless children must be identified and may qualify for assistance. If you suspect a child may be homeless (this status can also apply to children who are temporarily living with a relative due to situations such as parent(s) divorce or loss of job), please contact Dr. Marcia A. Smiley (334) 683-4144, ext. 53003.